The world is full of natural crafting material so why not try something natural for your crafting? 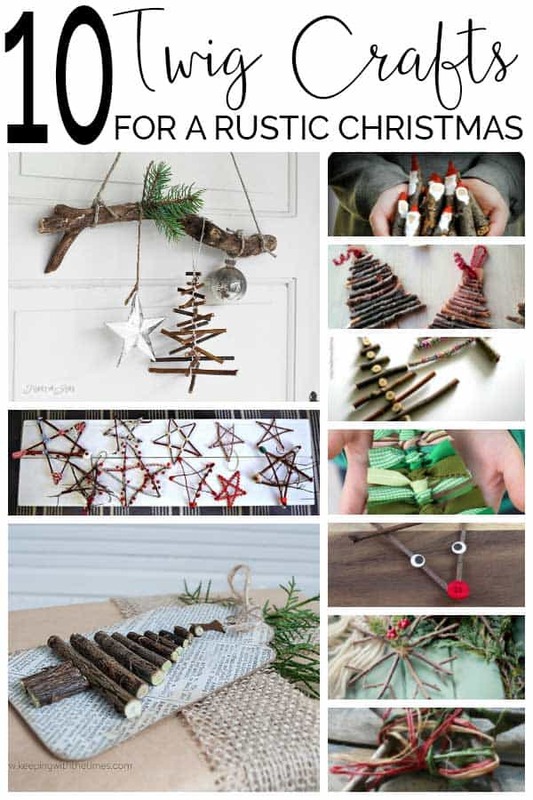 Following on from our Nature Crafts and our Twig Crafts for Christmas Decorations I’ve put together this list of beautiful pine cone crafts for Christmas. They’re sure to be a hit whether you use them in your own decor or make them as a thoughtful gift! 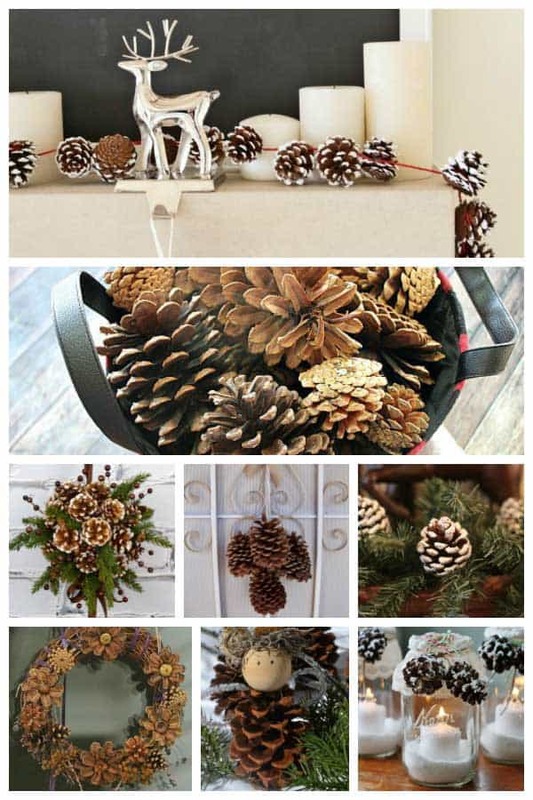 These pine cone crafts would make ideal ones to do together as a family, but why not host a crafternoon with some friends and neighbours and create some of these beautiful decorations yourself. Some links may be affiliate links to products and resources we recommend. If you purchase through these links we may earn a small commission. As the door is the first decoration many people see when they arrive at your house why not create this Natural Door Wreath with Pine Cone Flowers from The Usual Mayhem which could also be used as a pretty centrepiece for your Christmas Table. If you have a small Christmas village then these Mini Christmas Trees from Wife In Progress would make a perfect addition to it, change the size of the pine cones and you can have a whole white forest to decorate your village with. Love this idea but not got a Christmas Village yet then check out this gorgeous birch wood tea light holder version that would make a beautiful addition to your Christmas Decorations, or alternatively why not try making your own version with this downloadable and resizable Christmas village that you could then decorate or even let the kids decorate and use some electric tea lights this Christmas. 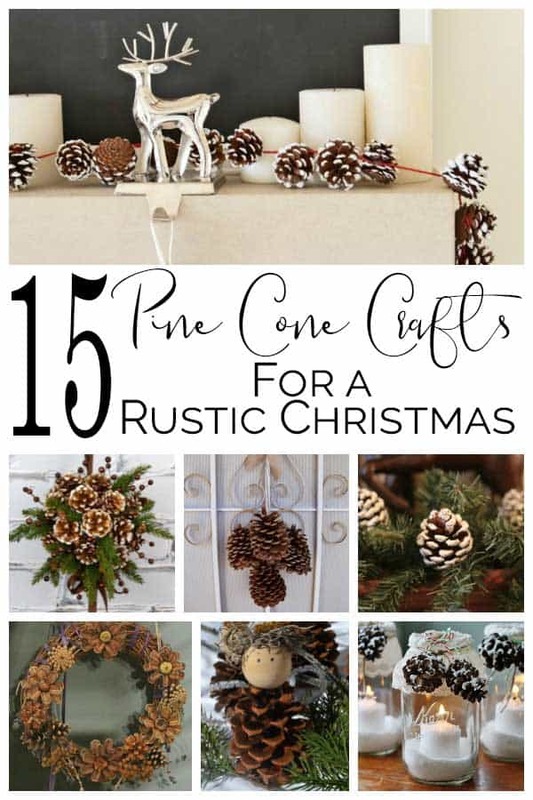 These Snow Covered Pinecones from Mom Endeavors could be used to decorate your Christmas Tree making it look a little more realistic or in a large glass bowl with some dried citrus fruits (find out how to make your own here) and cinnamon sticks. 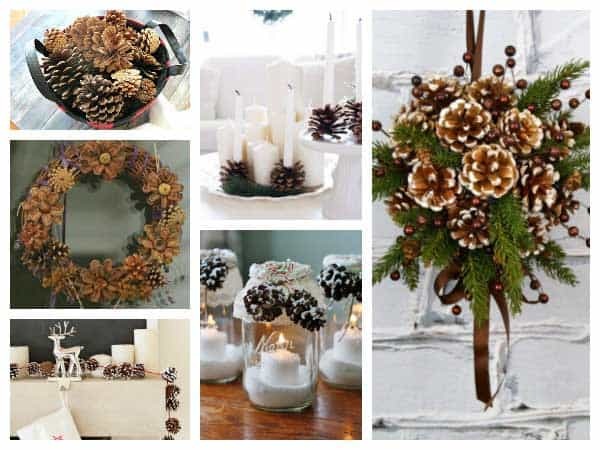 This time of the year of one my favourite things to do is light candles and we try and have as many as possible this DIY Pine Cone Candle Holders from I Heart Naptime are easy to make and look beautiful – don’t forget to buy extra candles and you will want to make them to light the home all winter long. Why not buy some in vanilla scent which will fill your house with the smell of cookies. This Glitter Wreath Pinecone Ornament from Gym Craft Laundry would be perfect to place a candle in the middle of – did you know that you can find LED scented candles – sounds perfect for placing on your family table so that none gets burnt as they reach across to help to serve. This has been on my list to make for a long time DIY Scented Pinecones from A Cultivated Nest, imagine them combined with the dried citrus fruits, some unscented pine cones and cinnamon sticks. It would make a beautiful potpourri and you could keep it topped up with some Christmas Scented Essential oils – perfect to bring a little cheer to your home. My daughter loves making these Pinecone Angels from Peace But Not Quiet and they are so cute decorating the tree. Love the pinecone angels why not make a peg doll angel or one with natural wool roving with your children this Christmas. I think these little Painted Pine Cone Christmas Tree from Wunder Mom would make the perfect Christmas surprise added to our dolls house to make it a little more festive. It’s not only inside that you can decorate these Paint-Dipped Pine Cones from Someday I’ll Learn look great hanging up outside although I’m tempted to place them hanging across our window with some glittered snowflakes to make the window look a little more festive. An alternative to hanging a wreath on your door would be to create a gorgeous pine cone kissing ball like this one from Crafts Unleashed. 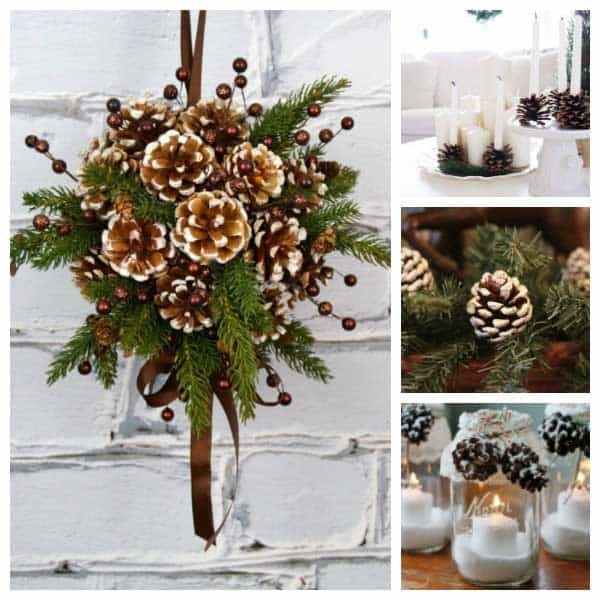 Winter means dark evenings but these Pine Cone Luminaries from Crafts by Amanda are so pretty that you could use them for Christmas and then keep them out all winter long. If your Christmas decor is more white than coloured or natural then why not try bleaching your pine cones with this tutorial on how to bleach pine cones from Garden Therapy. This pine cone garland is so simple but so elegant find the full tutorial on how to make it over on HGTV.